This non-oily gel can be used to tame and shape hair, keep a strand in place, or achieve a hairstyle with perfection. It is mainly used on damp hair, but may also be used for finishing touches on dry hair. It makes hair more manageable and easier to style, guaranteeing lasting results, without weighing it down. 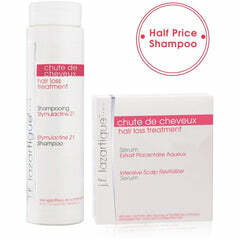 It may be used on a daily basis without leaving a residue or drying out the hair. Apply after a shampoo or even to dry hair. Apply a small amount of gel (walnut sized) with the fingers onto the locks to be shaped, or spread over all of hair using a comb. Allow to dry naturally or style using the dryer. Apply daily to dry hair to sculpt a stylish look.